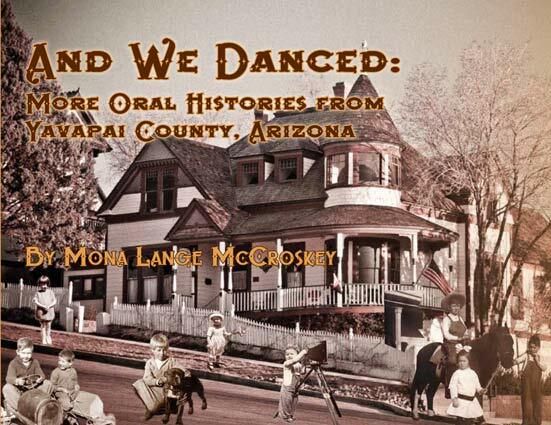 Arizona research historian Mona Lange McCroskey will recount fascinating details from selected oral histories published in her newest book, And We Danced: More Oral Histories from Yavapai County, Arizona. And We Danced: More Oral Histories from Yavapai County, Arizona picks up where Mona McCroskey's Chasing Cattle and the Cure left off in 2012. This volume contains World War II experiences and a few "guest authors." Included are Robson's Mining World, the History of Mining in the Bagdad area, Jerome History, and Senator Boyd Tenney's remarkable legislative career. These appealing from- the-heart accounts will make you smile and perhaps long for the simpler days in Yavapai County in the first half of the 20th century. Mona Lange McCroskey is a fourth-generation Arizonan who grew up on the Yolo Ranch near Camp Wood and the SV Ranch northeast of Wikieup. Mona has bachelors and master’s degrees in southwest history from Arizona State University and a master’s of library science from the University of Arizona. 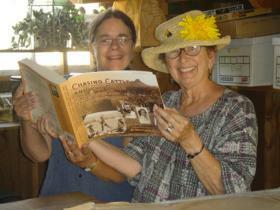 In 2000 she received the Sharlot Hall Award for her contributions to the preservation of Arizona History. She has also edited and published Summer Sojourn to the Grand Canyon: the 1898 Diary of Zella Dysart and The Journey with Tom: Memories of an Arizona Pioneer Woman. In 2005 she was selected as an Arizona Culture Keeper. Let's stay in touch! Keep us updated about your reading adventures.